Standard 18" Hella Wiper Blade for Vans 1980 to 1992. Blade length [mm]::450. 12 months warranty on all orders. Eg, Vetech, Erst Klassig, Franzen, NK, etc. With this in mind, we will indicate what type of product you are looking at within the following guidelines. 2010-2016 Toyota 4Runner. 2009-2016 Toyota Corolla. 2016 Scion iM. 2012-2015 Scion iQ. Single-hole nozzle, black mold plastic. 2008-2016 Toyota Land Cruiser. 2008-2016 Lexus LX570. 2009-2016 Toyota Avalon. For 2016 Scion iM. For 2012-2015 Scion iQ. Single-hole nozzle, black mold plastic. For 2008-2016 Toyota Land Cruiser. For 2008-2016 Lexus LX570. For 2010-2016 Toyota 4Runner. For 2009-2016 Toyota Avalon. For Citroen C3 2002 - 2016. For Citroen C1 2014 . 1 X Rear Wiper Arm. Quantity: 1x Rear Arm. Rear Arm length: approx. 29cm / 11.4”. Item: 100% brand new Length wiper blade: 10"/255 mm Fit for: Suzuki Swift 3/5 door 2005 onwards Also fit for Suzuki SX4 2006 onwards Producer/Quality: high class of replacement Rear wiper blade only, no arm. Wiper Blade Type Standard Country/Region of Manufacture Hong Kong Classic Car Part Yes Placement on Vehicle Rear Brand Unbranded MPN WO735548206118 EAN 0735548206118. RENAULT SCENIC MK3 2009-2016. RENAULT FLUENCE MK3 SALOON 2010-2018. 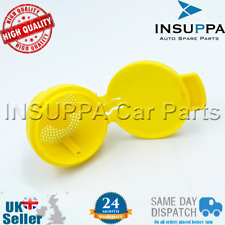 WINDSCREEN WASHER BOTTLE CAP LID COVER. (We will handle that ASAP. So you'd know the policy about your country. A6/Avant/S6/Avant quattro 2005--2011. engine code. VIN, we will check ). Need to confirm situations . 100% Brand New. Suitable for: Mercedes A Class MK2 (W169) 2005-2012 Length: 310mm Blade only, no arm Please read all the information before purchase Material ABS&rubber Length 300mm Country/Region of Manufacture Hong Kong Classic Car Part Yes Placement on Vehicle Rear Brand Unbranded/Generic MPN Does not apply Manufacturer Part Number Does not apply EAN 0762876548023. Blade length [mm]::575. 12 months warranty on all orders. Eg, Vetech, Erst Klassig, Franzen, NK, etc. With this in mind, we will indicate what type of product you are looking at within the following guidelines. 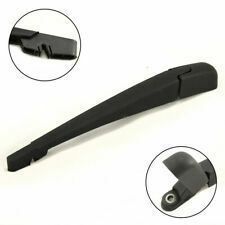 Fits for VAUXHALL (Opel) ASTRA G MK4 1998-2005 Version: HATCHBACK Length of blade: approx. 405mm Length of arm: approx. 450mm Please check the production year and version before you bidding! Classic Car Part Yes Country/Region of Manufacture Hong Kong Placement on Vehicle Rear Brand Unbranded MPN WO735548205937 Manufacturer Part Number Does not apply EAN 0735548155683. Car: VW Golf Mk4 IV. Item: head light lamp washer jet. But we haven't influence and don't take responsibility for them. Color: gray base paint (for painting). Wait for a parcel. To other countries we can also send, but this costs will be different and to avoid misunderstandings You should ask about them before You buy. Fits: KIA PICANTO (2004 - 2011). IT IS AGREED BY BOTH PARTIES BEFOREHAND. 100% brand new and OEM Quality Blade length 35cm(14inch) Fit Peugeot 307 00-08 Hatchback version Only Before purchasing please check the listing to see if the blade is suitable: The model stated matches your vehicle, including the variant (Estate Hatchback, Saloon etc) The overall length of the original wiper blade matches that stated in the description Your original blade looks the same as the picture Blade length 35cm (14 inches) Primary Color Black Classic Car Part Yes Placement on Vehicle Rear Country/Region of Manufacture Hong Kong EAN Does not apply EAN Does not apply EAN 735548157007 Brand Unbranded MPN QO762876545817 Manufacturer Part Number Does not apply. 2016 Scion iM. 2012-2015 Scion iQ. Single-hole nozzle, black mold plastic. 2008-2016 Toyota Land Cruiser. 2008-2016 Lexus LX570. 2010-2016 Toyota 4Runner. 2009-2016 Toyota Avalon. 2007-2011 Toyota Camry. Blade length [mm]::530. 12 months warranty on all orders. Eg, Vetech, Erst Klassig, Franzen, NK, etc. With this in mind, we will indicate what type of product you are looking at within the following guidelines. 100% brand new and OEM Quality Blade length 310mm Arm length 275mm Fit for: VAUXHALL ASTRA MK5 Hatchback 5 door version 2003-2009 Before purchasing please check your original blade looks the same as the picture – especially the clip part. Fit for Vauxhall Astra MK5 Production year 2003-2009 Version Hatchback 5 Door Type Frameless Classic Car Part Yes Placement on Vehicle Rear Compatible Arm Type Pin Arms Quantity Set of 2 Warranty Yes Country/Region of Manufacture Hong Kong EAN Does not apply Brand Unbranded EAN 735548159599 MPN Does not apply Manufacturer Part Number Does not apply. Genuine BMW Set Of Wiper Blades X5-E70 X6-E71. 100% Brand New. A perfect replacement for the old Wiper Arm & Blade of your car. Suitable for:Audi A3 8P 20013-2013 Before purchasing please check your original blade looks the same as the picture – especially the clip part. These are made to original equipment standard and should look exactly the same. 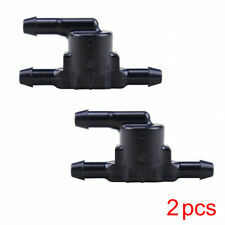 THIS VEHICLE SERIES HAS 2 DIFFERENT APPLICABLE WIPER MODELS. PLEASE COMPARE THE PARTS CAREFULLY Note: This item DOES NOT FIT S-LINE. Blade length 34.5cm Arm length 44cm Diameter narrow 8mm Diameter wide 10mm Country/Region of Manufacture Hong Kong Placement on Vehicle Rear Classic Car Part Yes Brand Unbranded/Generic MPN BL702921688335 Manufacturer Part Number Does not apply EAN 0702921688335. Brand new. For VOLVO C30 : 2006 - Onwards (UK Right hand drive)VOLVO S40 : 2006 - Onwards (UK Right hand drive)VOLVO S60 : 2010 - Onwards (UK Right hand drive)VOLVO S80 : 2006 - Onwards (UK Right hand drive)VOLVO V50 : 2006 - Onwards (UK Right hand drive)VOLVO V60 : 2010 - Onwards (UK Right hand drive)VOLVO XC60: 2008 - Onwards (UK Right hand drive) VOLVO XC70 : 2007 - Onwards (UK Right hand drive) VOLVO V70 : 2007 - Onwards (UK Right hand drive). Flat aerodynamic blade ensures even pressure to reduce smears. Easy to install and good elastic extension, which can prolong the life of the blade. Material Soft rubber Driver Side Blade 26 Inch Passenger Side Blade 20 Inch Placement on Vehicle Front Brand Unbranded/Generic MPN LB6574722786. Brand new. For Vauxhall Astra MK5 2004 - 2009. Flat aerodynamic blade ensures even pressure to reduce smears. Easy to install and good elastic extension, which can prolong the life of the blade. Brand Unbranded Manufacturer Part Number Does not apply. Brand new. For Vauxhall Zafira 2005-2011 ( UK right hand drive ). Flat aerodynamic blade ensures even pressure to reduce smears. Easy to install and good elastic extension, which can prolong the life of the blade. Material Soft rubber Driver Side Blade 28 Inch Passenger Side Blade 22 Inch Placement on Vehicle Front, Left, Right Wiper Blade Type Flat Type Wiper Blades Brand Unbranded/Generic MPN BL657472275469 Manufacturer Part Number Does not apply EAN 657472275469 Brand Unbranded/Generic MPN BL657472275469. Standard 16" Hella Wiper Blade for Vans 1968 to 1979. Blade length [mm]::400. 12 months warranty on all orders. Eg, Vetech, Erst Klassig, Franzen, NK, etc. With this in mind, we will indicate what type of product you are looking at within the following guidelines. If you are having problems with your window wipers the most probable cause is the arm popping off the ball joint as the rubber deteriorates. 100% brand new and OEM Quality Blade length 12” Fit for: Peugeot 107 /Citroen C1/ Toyota Aygo Before purchasing please check your original blade looks the same as the picture – especially the clip part. Fit for Peugeot 107 /Citroen C1/ Toyota Aygo Peugeot 107 2005 Onwards Citroen C1 2005 Onwards Toyota Aygo 2005-2014 Type Frameless Classic Car Part Rear Size(in.) 12” Compatible Arm Type Pin Arms Quantity Set of 2 Warranty Yes EAN Does not apply Brand Unbranded Brand Unbranded/Generic Country/Region of Manufacture Hong Kong Manufacturer Part Number Does not apply. Brand new. For Vauxhall Astra MK5 2004 - 2009. Flat aerodynamic blade ensures even pressure to reduce smears. Easy to install and good elastic extension, which can prolong the life of the blade. Material Soft rubber Driver Side Blade 22 Inch Passenger Side Blade 18 Inch Placement on Vehicle Front Brand Unbranded/Generic MPN BL657472275407 Manufacturer Part Number Does not apply EAN 0657472275407 Brand Unbranded/Generic MPN BL657472275407. Fits for VAUXHALL CORSA C MK II HATCHBACK 2000-2006 Production year: 2000-2006 Version: HATCHBACK Length of blade: approx. 406mm Length of arm: approx. 335mm Please check the production year and version before you bidding! Classic Car Part Yes Country/Region of Manufacture Hong Kong Placement on Vehicle Rear Brand Unbranded MPN 0735548290964 UPC 735548290964 Brand Unbranded MPN Does not apply Manufacturer Part Number Does not apply EAN Does not apply. Car: Hyundai Starex. Item: rear wiper arm with blade. Length wiper blade: 350 mm. version without washer. To other countries we can also send, but this costs will be different and to avoid misunderstandings You should ask about them before You buy. 2 X Front Wiper Blades. Length Driver Side - 610mm / 24”. Passenger Side - 480mm / 19”. Material Rubber. Brand new. For VAUXHALL CORSA 2006-2014 (ALL MODELS) (RIGHT-HAND DRIVE CAR). Flat aerodynamic blade ensures even pressure to reduce smears. Easy to install and good elastic extension, which can prolong the life of the blade. Material Soft rubber Driver Side Blade 26 Inch Passenger Side Blade 16 Inch Placement on Vehicle Front Brand Unbranded/Generic MPN LB657472275698 Manufacturer Part Number Does not apply EAN 657472275698 Brand Unbranded/Generic MPN LB657472275698. Standard 18" Bosch Wiper Blade for Vans 1980 to 1992. Blade length [mm]::450. 12 months warranty on all orders. Eg, Vetech, Erst Klassig, Franzen, NK, etc. With this in mind, we will indicate what type of product you are looking at within the following guidelines. For Peugeot 106 1999 - 2004 206 1998 . 1 X Rear Wiper Arm. Quantity: 1x Rear Arm. Rear Arm length: approx. 35cm / 13.7”. 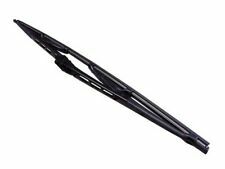 2 HYBRYD FLAT wipers 19 / 21 530mm & 475mm. ONLY FOR VEHICLES WITH A HOOK CONNECTOR! with hook fastening. Lakshmi wipe with 3 components rubber Wiper Blade. Easy Assembly with hook fastening. Perfect wiping performance at any point on the disc by Evodium spring notes. SUZUKI SWIFT New WIPER MOTOR LINKAGE PUSH ROD SET 2005 to 2010 Wipex Kit No74. Order Today...with you Tomorrow Option..
Agila A (00-08). Zafira A (98-05). Vectra B (95-02). Front & Rear Wiper Stalk. Vauxhall / Opel. Astra F (92-98). Astra G (98-04). Cavalier III (89-95). The wiper blades listed will fit your car provided the wipers arm has a hook fitting, here is a picture of a hook fitting. Manufactured to O.E Specifications our Wiper Blades are easy to fit and no modifications are needed to your car. 100% Brand New. Please note that this wiper set is not genuine, but replacement! Replaces the original metal wiper set up for chunky smooth look. Fits for Fiat Panda 2004–2012. Length of blade approx. 300mm Length of arm approx. 340mm Classic Car Part Yes Placement on Vehicle Rear Country/Region of Manufacture Hong Kong Brand Unbranded MPN HD0702921667095 EAN 702921667095 Manufacturer Part Number Does not apply Brand Unbranded/Generic MPN BL702921667095. Mitsubushi Shogun Pajero 3.2 3.5 00to07 Wiper Motor Linkage Push Rod Kit. "NEW"